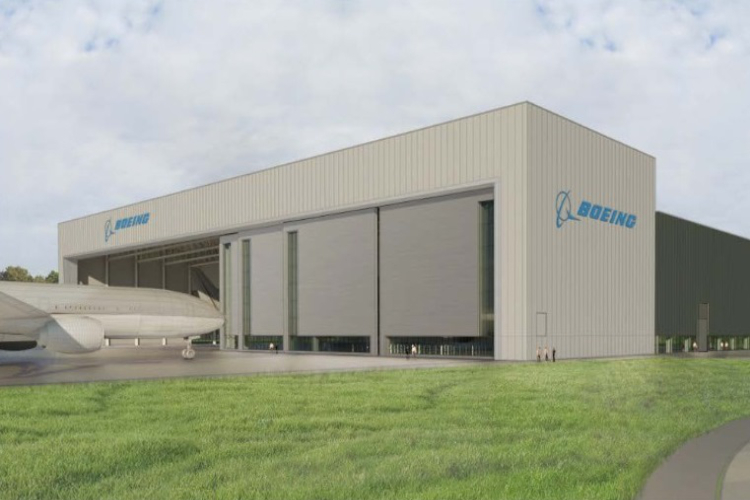 Leading specialist contractor Prater has been appointed to deliver the full envelope solution, including roofing, facade and glazing, to Boeing’s new GoldCare Maintenance Hangar at Gatwick Airport, London. 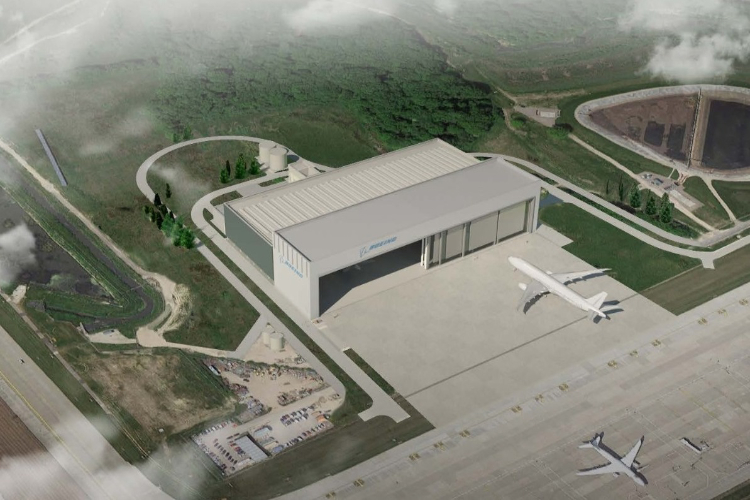 The multi-million pound project will see the creation of a commercial aviation maintenance hangar to support Boeing’s European GoldCare customers. 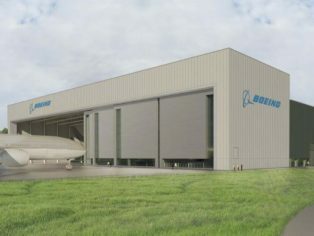 Standing at 32m, the high bay hangar allows flexibility of use, with the ability to house multiple aircrafts from the Boeing fleet as well as adding to Gatwick’s engineering capacity. Understanding the magnitude of the project, main contractor Sisk needed a supply chain that could successfully deliver a high quality, fast paced programme. With extensive expertise and a successful history of projects in the aviation sector, Prater has been appointed to deliver the full external envelope. Looking at the original specification, the Prater team proposed changes to the roofing panels to provide a roofing system that would be all encompassing and help to achieve both cost and programme certainty. Furthermore, the Prater technical team produced a mock up of the roof, capping and facade interface, enabling the end client to see exactly what the finished product would look like and allowing changes to be made accordingly before getting onsite. Benefitting from the use of BIM throughout the planning stage, Prater’s specialist design team created 3D drawings of the whole project. As a result, Prater was able to provide all those working on the project with a clear vision, rectifying any potential issues as early as possible. This proactive approach throughout the initial planning stages will help ensure the build programme runs as smoothly as possible.